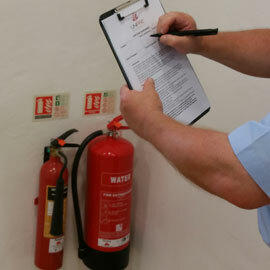 The Regulatory Reform (Fire Safety) Order 2005 (“the Order”) came into force on 1st October 2006. It applies to all non-domestic premises in England and Wales. The Order sets out the duties of the person responsible for premises (known in the Order as the “responsible person”). Other persons in control of premises are under duties parallel to those of a responsible person. The responsible person is required to carry out a suitable and sufficient fire risk assessment and then implement the necessary fire precautions and management procedures to be put in place. For the purpose of fire safety risk assessment, a hazard is a situation that can give rise to a fire. Fire Risk has two components: the likelihood that a fire may occur; and the potential for a fire to cause death or injury, i.e. consequence. Both of these components should be considered in any fire risk assessment. To determine the fire safety measures and management policies that are necessary to ensure the safety of people in the building if a fire should occur. We carry out fire risk assessments in leisure centres, residential care homes, shops, schools, offices, commercial premises and theatres.